Sony announced that its entire Xperia Z lineup (yes, even the original Xperia Z) will get updated to Lollipop and… we’re still waiting. Spotted in the MWC halls in Barcelona was an Xperia Z3 running Android 5.0.2 Lollipop. There’s no indication of how close to final it is. Changes include a new notification area (where you swipe down a second time for the quick toggles), a new app switcher (with the 3D rolodex design) and the on-screen buttons have new icons. Floating apps are still here, while the music player is getting rebranded. The Sony apps in general have switched to Material Design. 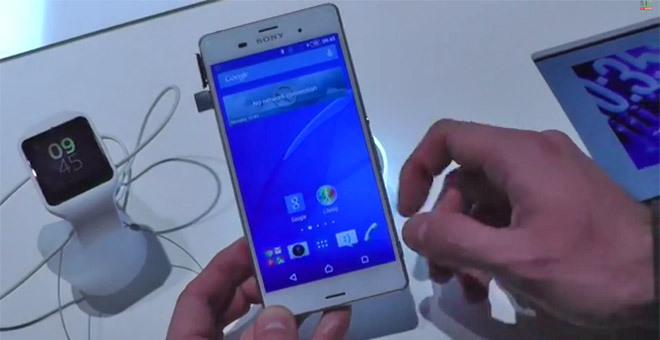 Here’s a video of the Sony Xperia Z3 on Lollipop. Unfortunately, it’s in Italian and Google Translate isn’t too helpful.